When my Benjamin was born, we had some adjusting to do. In many ways of course, but especially in our outdoor play. 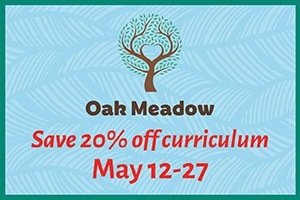 My kids were used to being outside – A LOT. But with a baby, it can be a challenge. And when that baby starts to move it can be an even bigger challenge! So we got a bit creative at times and came up with some unique outdoor activities for babies. We thought of some on our own, and used good old Pinterest for the rest. Some are simple, some take a bit of prep, but all will keep baby (and Mama) happy outside. Benjamin has started this life with a love for being outside right from the get go. And he is a different little one than my others – tougher to the bad weather, cold, wind, and rain, and happier to simply play and explore outdoors without a plan at all … or shoes for that matter. There are definitely benefits to raising outdoorsy kids – and certainly concern by many about the amount of time little ones spend inside. Starting a love of nature and an appreciation for the outdoors early is key to raising little environmentalists and explorers. 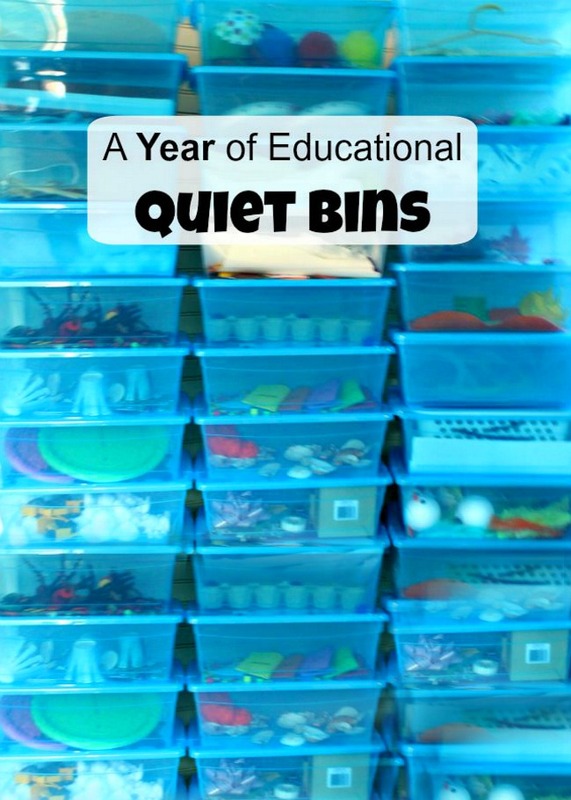 While the majority of the time my little ones simply go outside and ‘play’ I do take some time to plan their play environment and occasionally get creative with some activities. This keeps things interesting and exciting for me as well as them. 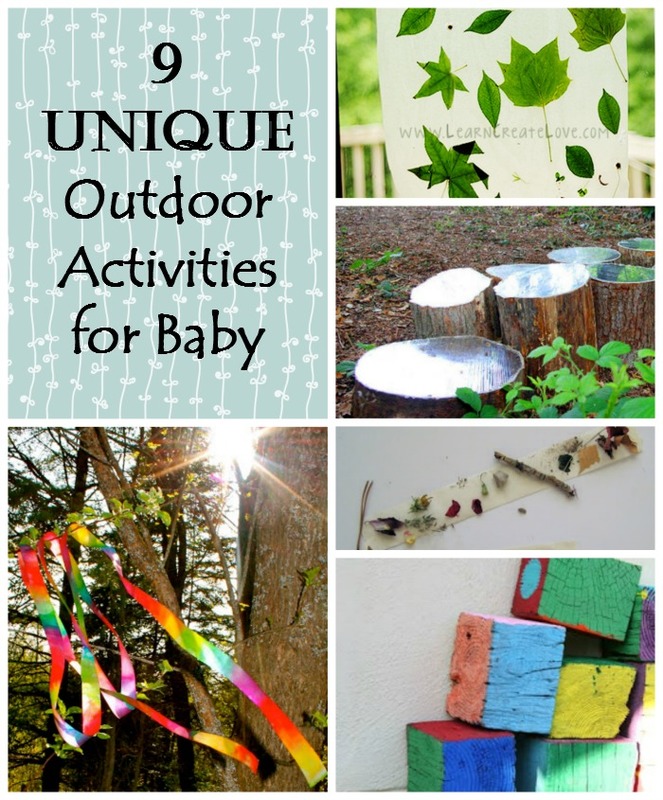 Here are some ideas for unique outdoor activities for babies. 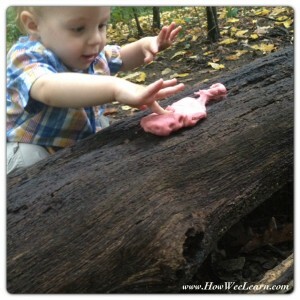 Playdough Nature Walk – This activity was not intended for my baby at first, but I quickly came to realize what a great activity this is for little ones – especially those that like to taste everything. I stuck some playdough to a tree with thick bark and it stuck very well. So well, in fact, that my littlest explorer could poke and feel the playdough while it stayed firmly attached to the tree … out of little fingers pincer grips – and mouths. 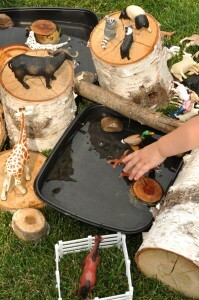 Not to mention all the sensory goodness in this outdoor activity! 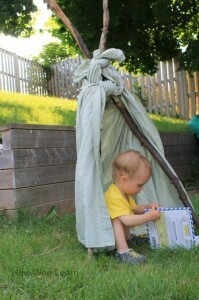 Create a Cozy Outdoor Fort – For some little ones being in a great big space may feel overwhelming. Creating little hide outs, forts, or play houses is a great way to keep baby feeling snug and secure in the natural environment. Add Mirrors to Stumps – The Jealous Curator – I think this idea is just brilliant. We have a few stumps from old trees and when my littlest was just learning to stand I owuld encourage him to pull himself up using them. By adding mirrors to the top I would have added quite the incentive to get him standing – what baby doesn’t love mirrors? And the learning and games that can be played on top of stumps like this! Yep, I am sticking with BRILLIANT. Natural Water and Animal Play – Greening Sam and Avery. We loved bringing cookie sheets of water outside. Just the right amount of water for splashing and play, without too much wetness of a little baby. I love how Greening Sam and Avery extended this activity. 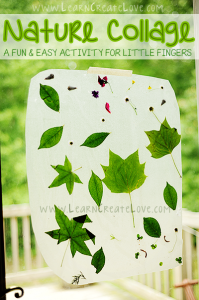 Nature Collage – Learn, Love, Play. A little bit of contact paper and let the fun begin! This activity could be done on a deck or patio as well if baby isn’t yet standing. Flower petals, or even sand could be sprinkled for beautiful creations. 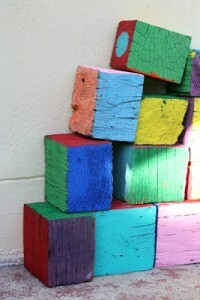 Giant Painted Blocks – Filth Wizardry. The blocks are beautiful! And if you used some natural paints, like watercolor paints made from flowers (a recipe can be found in this post on Indoor Nature Activities for Kids) they would be perfectly safe for little babe. 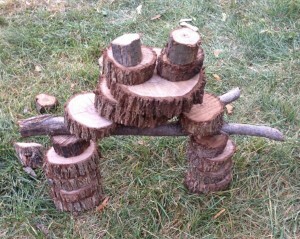 Natural Blocks – perhaps you would prefer wooden blocks cut from a tree for baby to explore outside. That is what we use, and have for over two years now. Safe and such a variety of sizes, perfect for developing little muscles and minds. 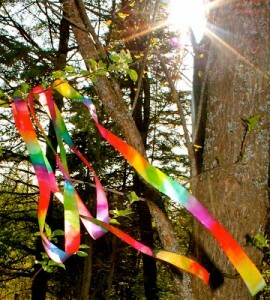 Rainbow Ribbon Wand – Twig and Toadstool. These I will be making when we move to our new place (in 3 weeks!) to hang from some of our trees. I think they are simply beautiful! They would be very mesmerizing and inviting for a baby to enjoy outside. A nice and relaxing activity I believe. Create Nature Bracelets – The Rachel Way. When babe is at the toddling stage, this activity would be perfect. 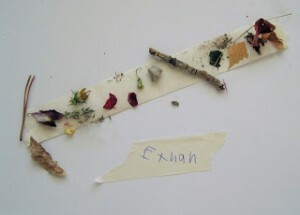 My Benjamin, who is now 18 months loves to collect treasures outside. His big brother taught him to put his treasures into his pockets (much to my dismay at laundry time – ugh I shutter sticking my hands into the boys pockets), but this would be such a fun way to collect treasure as well! Now of course simply being outside, in any capacity, is ideal. As I mentioned, most of the time we are simply outside — with no fancy activities or extensive plans. But sometimes it is nice to add a little inspiration for my little ones, or add a few little details to their play space to kick it up a notch. Young or old, who doesn’t need that once in awhile! I really liked the idea with nature Bracelets. 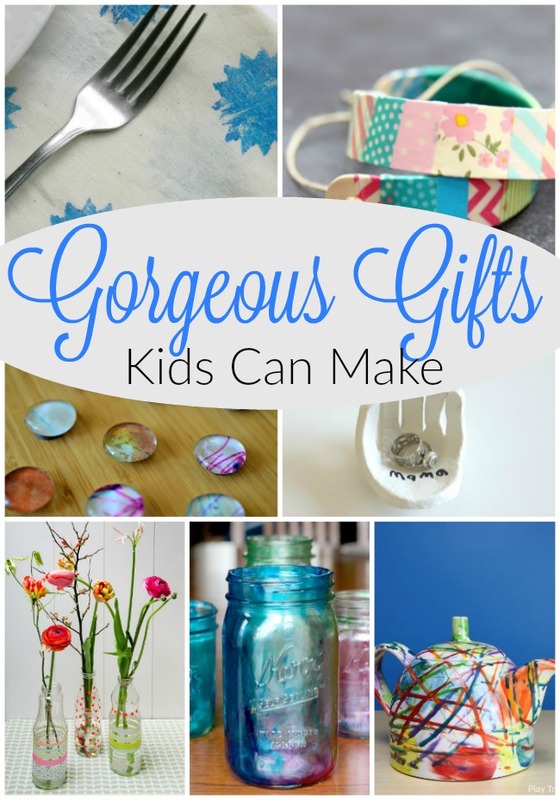 My daughter likes diy activities and she will definitely like it. I like that one too Kate – hope your daughter enjoys it!